The RE Store has had some great partners in our 20 years of business, helping us divert materials that would otherwise go to the landfill. These partnerships have allowed consistent material supply flows, benefiting both customers and our Revision Division – and in turn saving the partnering company the cost of disposing those materials. 2014 brought us an amazing new partner in Itek Energy. Bellingham-based Itek Energy is Washington state’s largest manufacturer of solar panels and inverters. 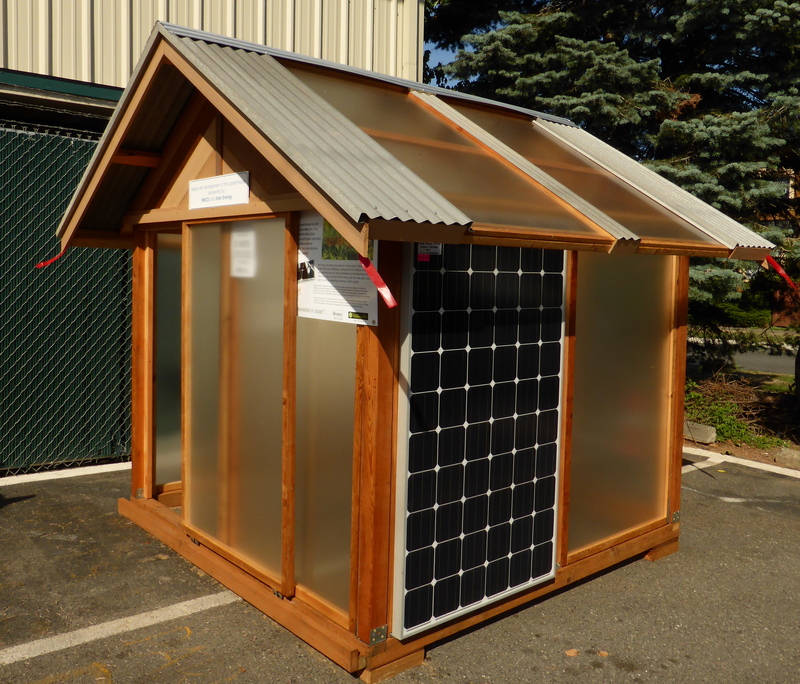 Rapidly helping grow Washington’s solar usage while providing jobs for graduates of Bellingham Technical College’s electronics program, they have gone from just six employees when they began in 2009, to over 35 in just a few short years. In that time their solar panel production has grown from 25 panels per day to over 300. Itek Energy is very selective with the tempered glass they use to cover their solar panels. The glass needs to live up to their 30-year warranty, so after slow examination under intense light, any panels with minor chips or imperfections are discarded. Instead of disposing of them into a dumpster, since April 2014, Itek Energy has been donating the glass to The RE Store at a rate of 90 to 200 sheets per month. That saves them disposal fees and labor, while giving The RE Store up to $3600 in resale value per month. Having this unique and consistent manufacturing by-product has allowed us to explore new designs and get creative in our Revision Division. 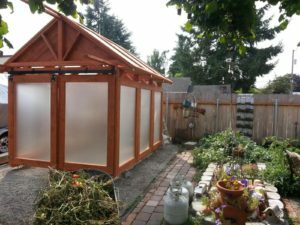 With the help of some seed money granted to us by Washington Educational Credit Union, we’ve designed and developed a greenhouse prototype. You may have seen the greenhouse out in the parking lot, in fact. While this greenhouse was built to sell,it is also meant inspire others to think about how to use this unique manufacturing by-product we have readily available in the store. 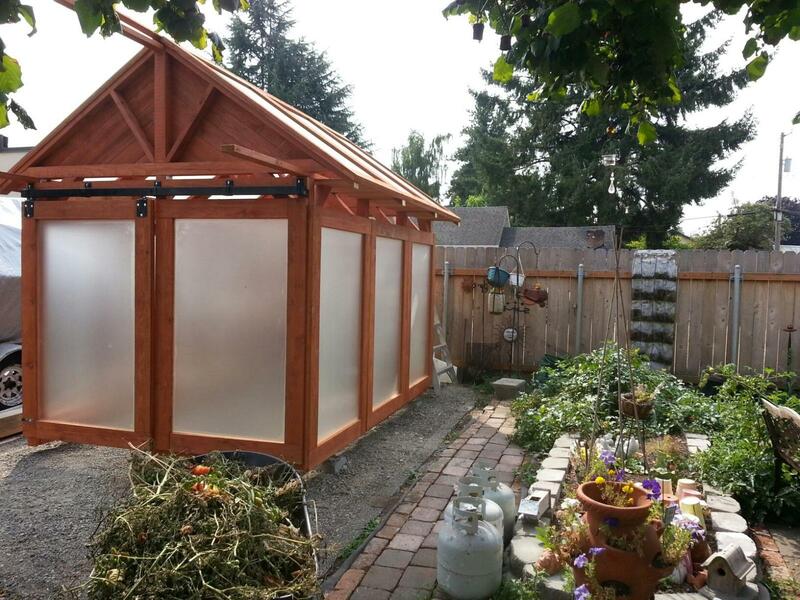 This greenhouse was built with 18 panels of the Itek Energy solar panel glass by a regular customer of The RE Store. Itek Energy and other partners allow the Revision Division to perform the core mission of the program: Divert, Inspire, Educate, and Partner with the community. We can’t wait to identify more commercial partners with whom we can re-define waste. Do you have a readily available manufacturing by-product? Contact Kurt Gisclair (kurtg [at] re-store.org) about a partnership to reduce your cost and waste while getting tax benefits for your business.